Asahi Kasei Bioprocess Europe N.V./S.A. 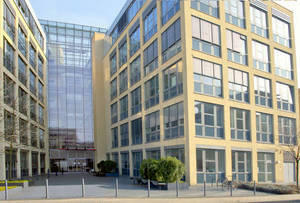 announces the opening of its new Cologne Technical Center in Germany. The Cologne Technical Center gives you the opportunity to learn more about Planova™ virus removal filters, QyuSpeedTM D membrane adsorbers, BioOptimal™ MF-SL microfilters and automated Planova™ and Bioprocess equipment. We offer customers support for their process development, filtration optimization, and non-GLP studies at the Cologne Technical Center, while continuing to provide our full range services at customer sites. In our showroom we demonstrate automated integrity test systems, filtration systems as well as an IBDTM inline buffer dilution systems and a dynamic axial compression columns. At the Cologne Technical Center, we offer supports for both small and large processes. In addition, the seminar courses and training sessions we offer are available in four different languages: German, French, English and Dutch.